If you are a builder, landlord, home seller, house flipper, or a happy owner looking for practical solutions to cabinetry challenges, you’ve come to the right place. ProSource Wholesale® partners with Homecrest Cabinetry because, since 1969, the company has established a reputation for producing affordable cabinets that offer both style and function. Their straightforward approach to design and materials makes it easy to be comfortable with your choices, while giving you enough options to make your space more functional, best suited to your needs. If you are a rental property landlord, you may have one or more units that require new cabinetry due to tenant damage. If you are a house flipper, you may have a newly purchased property whose kitchen cabinets absolutely need to be replaced in order to command a higher resale price. Or, you may be a builder who just won the bid for a new apartment complex project. Alternatively, you may be a Homeowner with a list of renovation projects ahead of you, and you need cost-efficient cabinet solutions that will not break your budget. Or, you have decided to sell your existing house and realize you will need to finally move on that planned kitchen renovation, and it needs to happen now. Homecrest has been around for over four decades, proving their ability to sustain their business and meet customer expectations. They continually track trends and offer new styles and options to meet buyer demand…all while offering the most affordable cabinet choices possible. Because your particular requirements are very specific, and time and budget are of the essence, the in-house design experts at ProSource will be invaluable to you and your project. They can help you quickly decide which style and finish will best enhance your particular space. They can recommend organizational options that will optimize internal space and provide a competitive edge in the marketplace. Their in-depth knowledge of product lines, production timetables, and installation scheduling will help you manage your overall project schedule. 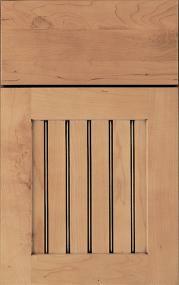 Just because you want the most economical cabinetry for your project doesn’t mean you have to sacrifice style for price. 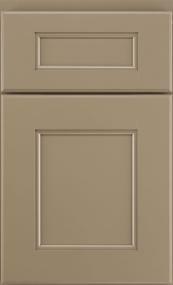 Installing attractive cabinets adds value and competitive advantage, whether you are selling or renting. 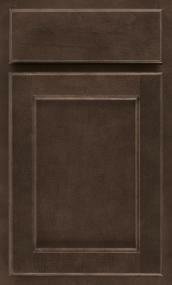 A tight budget doesn’t need to translate into cabinets you won’t want to live with long term. Let the ProSource team show you Homecrest cabinet options that will meet your practical needs, wrapped up in a pretty package.